Prepare, grill, and serve from the same piece of goodlooking cookware. (You can also use it in the oven and on the stovetop.) 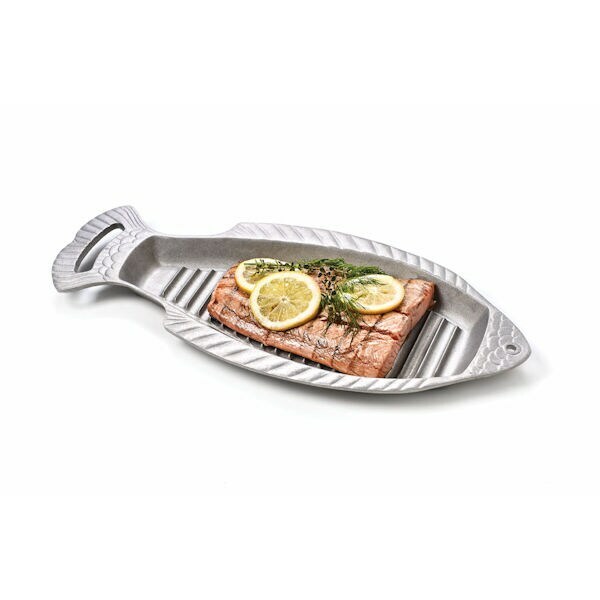 Durable aluminum alloy keeps foods hot longer and cleans up easily outside the dishwasher. Won't crack, chip, or dent. Refrigerator and freezer safe. About 8" wide, 19" long. Lifetime guarantee.